React Casino is an online NetEnt casino which is operated by EveryMatrix N.V. and is licensed in Curacao. The company also manages its sister casino, Jetbull. Ricky the cheetah is the casino’s logo and you will be sure to enjoy playing casino games that load at top speed! 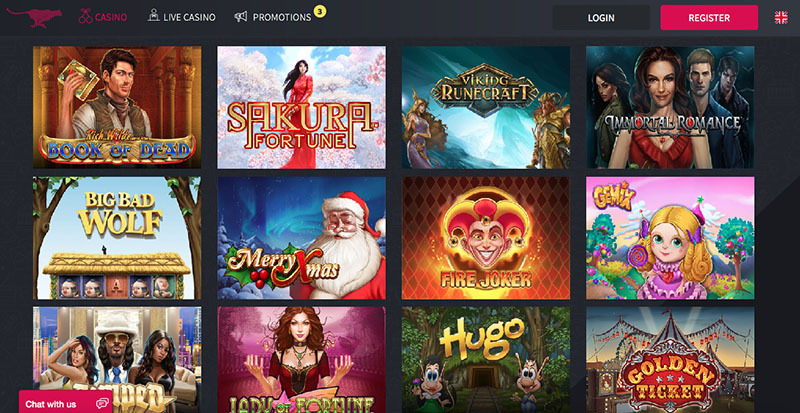 Enjoy over 1400 games from the industry’s best software developers, such as: NetEnt, Micrograming, BetSoft, OMI, Evolution Gaming, iSoftBet, NYX, IGT, Play ‘n Go, and OneXTwo Gaming. Have a look at our React Casino Review below for more information on the Welcome offer, deposit and withdrawal options, and other important casino information. Over 1400 casino games available. 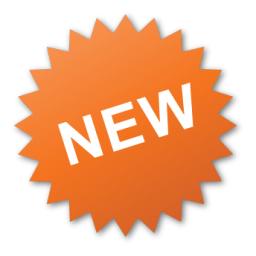 Many progressive jackpot games available, including Mega Moolah, Mega Moolah Isis, and many more. Live Casino games available, including all variants of Blackjack, Baccarat, and Roulette. Players from USA are restricted from signing up. New players at React Casino can get a 100% up to €200 when you make your first deposit of €10. New players at React Casino are eligible to get up to 1000 Free Spins on their first deposit. Players must select which NetEnt slot they would like their Free Spins to be credited on: Starburst, Gonzo’s Quest, or Jack Hammer. Please note: This offer is not available to players residing in the following countries: Bulgaria, Canada, Croatia, and Greece. New players at React Casino are eligible to receive a €35 Reload Bonus every week! Simply sign up for a casino account at React Casino and make your first deposit. The weekly reload bonus will be available every Monday at 00h00 GMT. Deposit a minimum of €10 or equivalent to get your bonus. 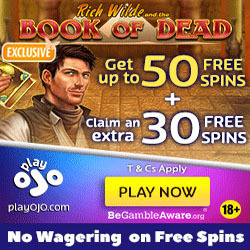 The wagering requirement for Free Spins winnings is 30 times. The wagering requirement for the Welcome bonus is 40 times. Players from Moldova and Sweden must wager 45x. The wagering requirement for the Reload bonus is 40 times. Players from Moldova and Sweden must wager 45x. The following games do not contribute to fulfilling wagering requirements when bonus money is used: all Video Poker Games; non-live Table Games and the following slot games: Scrooge, Devil’s Delight, The Wish Master, Pearls of India, Tower Quest, Loaded, Thunderstruck, Egyptian Heroes™, Wild Turkey, Lights, South Park™, Jack and the Beanstalk, Flowers. Tomb Raider 2, Castle Builder, Castle Builder II, Dragon’s Myth, Forsaken Kingdom, Untamed Wolf Pack, Untamed Giant Panda, Untamed Bengal Tiger, Untamed Crowned Eagle, Peek-a-Boo, Stardust, Cool Buck, and Beautiful Bones. Casino bonuses are not available to players residing in the following countries: Bulgaria, Canada, Croatia, and Greece. 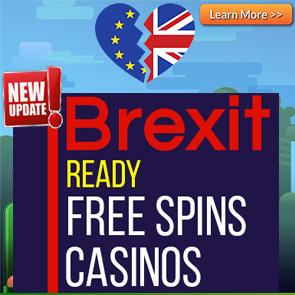 The maximum winnings from the Free Spins, allowed for withdrawal after wagering requirement is met, including winnings coming from cash points earned from those free spins, is limited to €100, or currency equivalent. Please note that players must be 18 years or older to sign up for an account at React Casino. For a list of the full Terms and Conditions, click here. The deposit options at React Casino are: Visa, Visa Electron, Maestro, MasterCard, Skrill, Neteller, Paysafecard, Bank Transfer, WebMoney, dotpay, fundsend, Trustly, Euteller, and Fast Bank Transfer. Players residing in the following countries are restricted from accepting casino bonuses: Bulgaria, Canada, Croatia, and Greece.